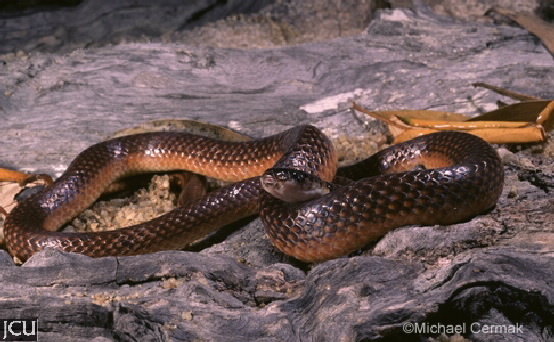 This small nocturnal snake hides under logs and litter, not considered dangerous. The head is a darker brown than the body. The broad yellow collar just behind the head is most conspicuous in young animals and is paler in old. The scales on the body have a pale edge so the body pattern appears reticulate. Belly is white or cream.